A short drive from Delaware, Pennsylvania, and New York, Haddonfield dates back to 1682 and offers more than 200 shops and galleries many within Colonial buildings. 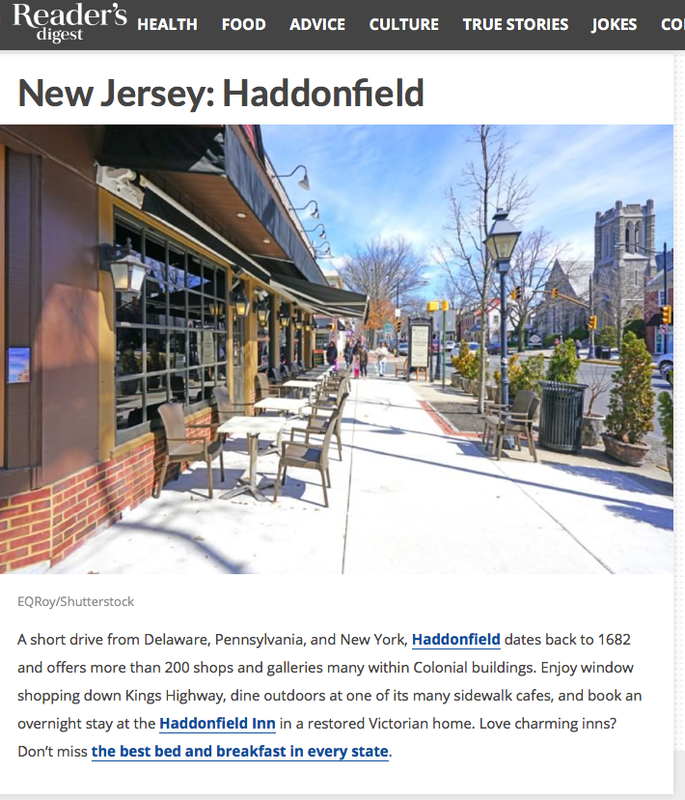 Enjoy window shopping down Kings Highway, dine outdoors at one of its many sidewalk cafes, and book an overnight stay at the Haddonfield Inn in a restored Victorian home. Love charming inns? Don’t miss the best bed and breakfast in every state. Story picked up by NJ.com!